Update: At 10 a.m. ET on 2/7, the Senate Judiciary Committee will hold a "Monster Markup" on dozens of President Trump's judicial nominees, including his nominee for attorney general, William Barr. 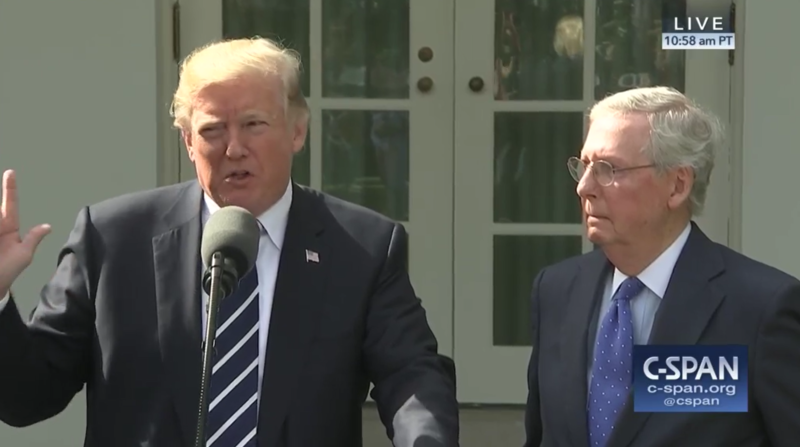 President Trump and the Senate majority are reshaping the federal courts by nominating extremely conservative judges and confirming them at a breakneck speed. The 115th Congress saw record-breaking movement on judicial nominations, and we expect more of the same in the 116th Congress. Since 2017, the Senate has confirmed 85 judicial nominees, 30 of them to the U.S. Circuit Courts of Appeals. In the first two years of President Obama’s administration, only 62 judicial nominees were confirmed. These massive gains are the result of the Senate majority disregarding the Senate's “advice and consent” role, circumventing the usual vetting process for nominees. Once confirmed, judges in the federal courts sit for a lifetime. They rule on all areas of the law that impact people’s everyday lives: civil rights, criminal justice, access to education, environment, labor, immigration, and many more. It is critical that nominees be qualified and impartial for the courts to fulfill their purpose as arbiters of the law. Many of the nominees confirmed by the 115th Congress caused concerns because of their writings. John Bush was confirmed to a Kentucky seat in the U.S. Court of Appeals for the Sixth Circuit, despite having anonymously blogged that Roe v. Wade is a stain on U.S. history. He also suggested that Speaker Pelosi should be bound and gagged. This is just one example. In addition to voicing concerning views, nine of the confirmed nominees received at least partially Not Qualified ratings from the American Bar Association. Only 8% of the confirmed judges are non-white and only 22% are women. Learn more about how the U.S. Circuit Courts of Appeals have transformed since 2017. This week, the White House announced the re-nomination of 48 of the 70 judicial nominees left pending at the end of the 115th Congress. Some of the most controversial nominees may not be re-nominated. Ryan Bounds’s (9th Cir., Or.) confirmation vote was canceled last Congress because of views on race expressed in college writings and Thomas Farr’s (E.D.N.C.) confirmation vote was canceled because of past work suppressing voters’ rights. However, the President did re-nominate Wendy Vitter (E.D. La. ), who allegedly spread false medical information about the effects of abortions and birth control. Those re-nominated will be considered by the Senate Judiciary Committee, now under the leadership of Senator Lindsey Graham (R-S.C.), likely many of them in one big “monster markup” (a meeting of the committee where they vote on multiple nominees at once). Senate Democrats have asked for new hearings for the 9 nominees whose hearings were held during recess so that all members can have an opportunity to be present and ask questions of the nominees. The first judicial nominations hearing will likely be held in late January for Neomi Rao (D.C. Cir.) who was nominated to replace Justice Brett Kavanaugh. It is not yet clear whether Senator Graham will respect home-state Senators’ blue slips, a critical form of advice and consent, but we expect the majority and the White House to continue breaking norms in order to transform the courts. See what you can do here to help spread the word about the importance of these lifetime appointments to the federal judiciary.